Required: Select dse v5.0.1 or later as the DataStax Enterprise Version. Optional: Configuration options are available in the DSE Graph section of dse.yaml in a Lifecycle Manager Config Profile. Override the defaults if necessary. 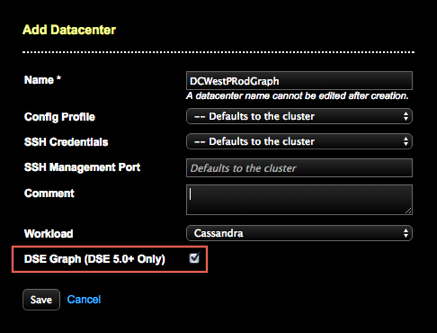 For more information about configuration options, see configuring DSE Graph options in the DataStax Enterprise documentation. Note: Some advanced DSE Graph properties can only be set using the API. 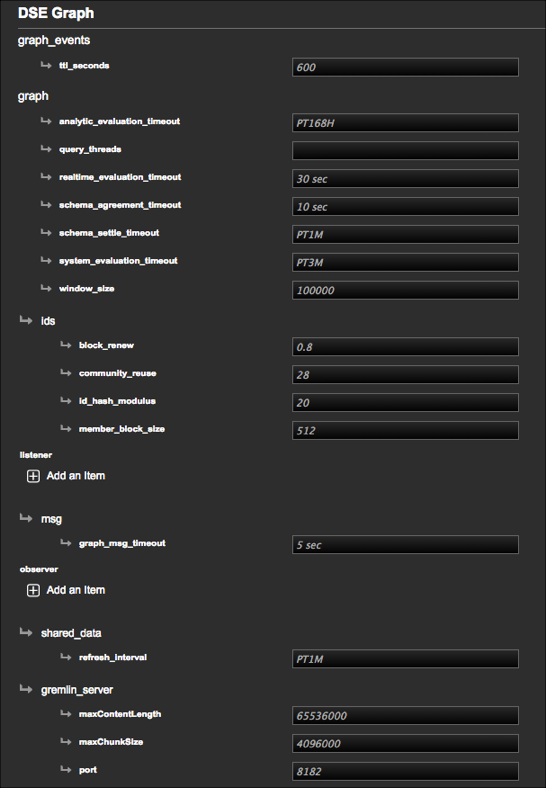 For more information, see DSE Graph properties (DSE 5.0.1+ only).